The existing roofing was a rolled roofing system that was leaking. We did a moisture scan. This is owned by a client that we have done multiple projects for. He likes our product and how we save him money by the process of going over his existing roofing. 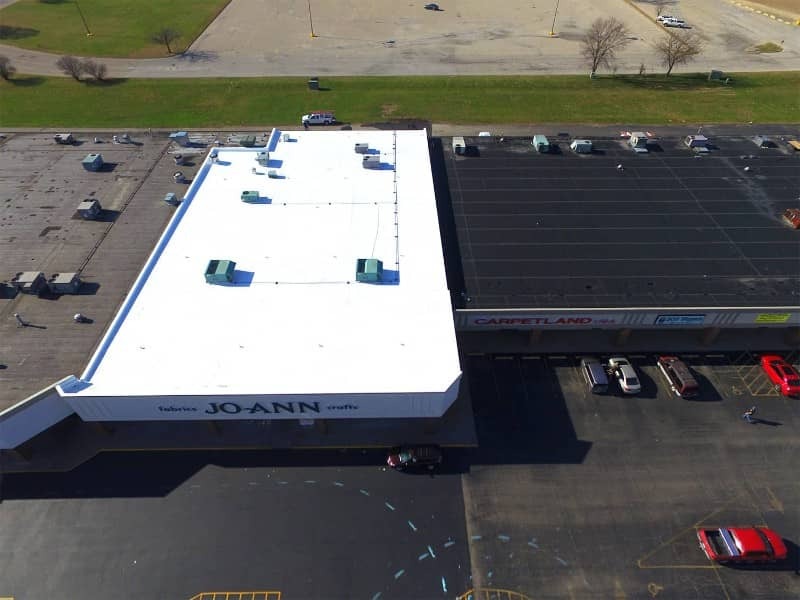 We were able to install this roofing with no interruption to the retail store.